Even hard working princesses need to treat themselves, Fangirls. Or maybe, all the work being a princess is treating yourself. Either way, cheesecake must be involved. So, when I thought up a cheesecake flavored with the lovely tastes of chai tea, I though it was a perfect treat for the one and only Princess Jasmine. 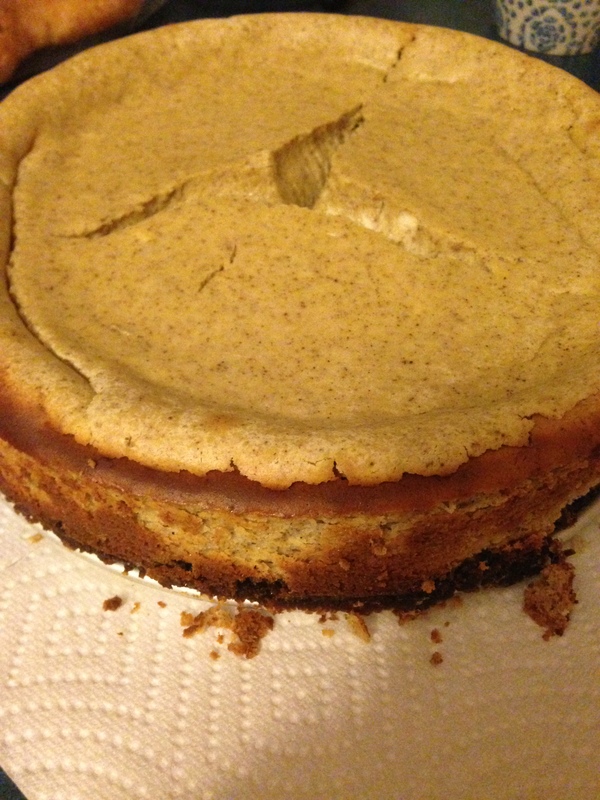 Before this, I had never made cheesecake before (other than my attempt at prison cheesecake). But it was surprisingly easy and extremely rewarding. With the right ingredients, this cheesecake is as easy as pie. Er, cheesecake. *Chai spice blend is 2 tablespoons ground cardamom, 1 tablespoon cinnamon, 1 1/2 teaspoons ground ginger, and 1 teaspoon ground clove. Preheat oven to 350. 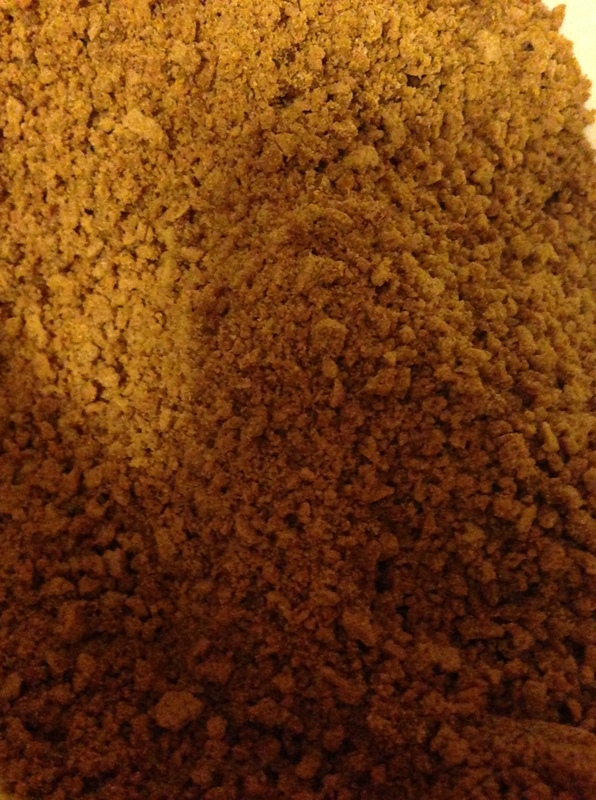 Place a good amount of ginger snap cookies in a food processor, and pulse them until they are fine crumbs. Add melted butter and sugar, and combine well. Firmly & evenly press the mixture into a 9 inch spring form pan. Then, bake the crust for about 5 minutes. For the filling, start with the copious amounts of cream cheese. 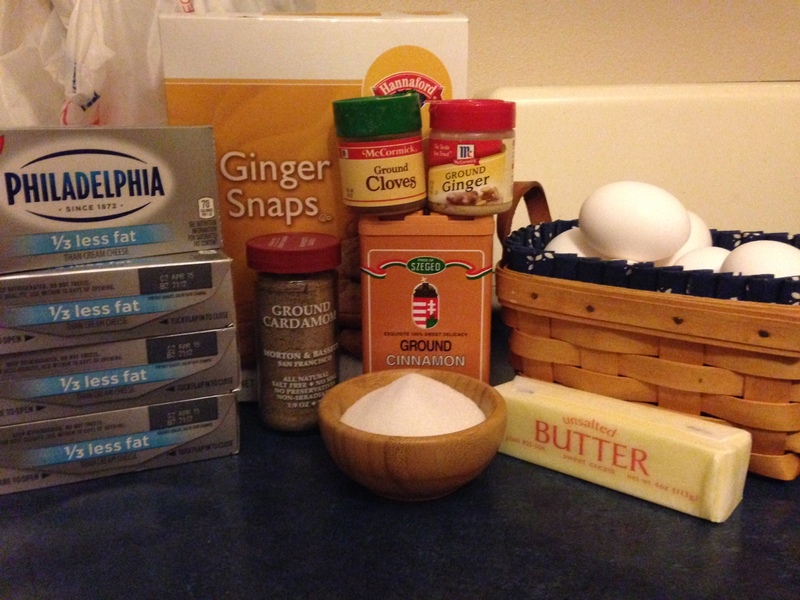 Add all five bars to a stand mixer or bowl with an electric mixer, and blend the cream cheese until more smooth & soft. 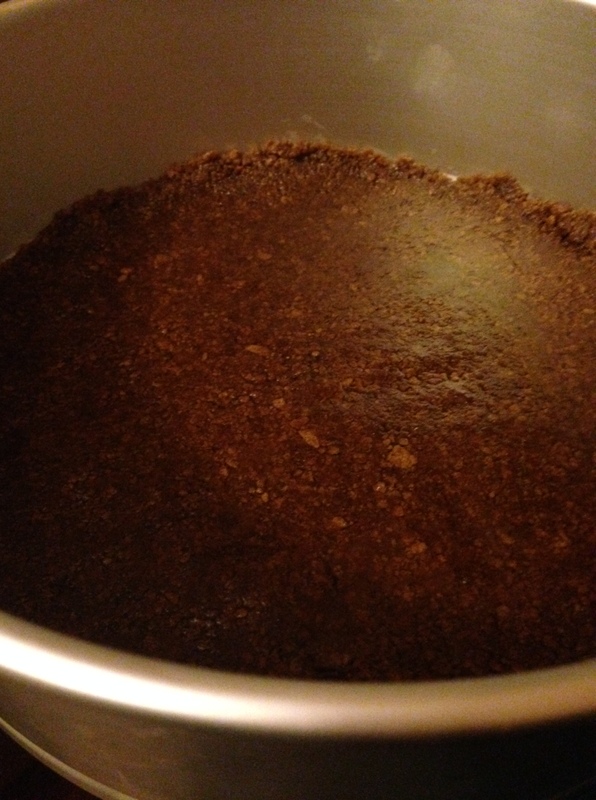 Add the sugar, flour, chai spice blend, salt, and eggs. Beat everything until it’s well combined and a silky texture. Pour into the pan with the crust. Before baking this, place the whole pan onto a baking sheet. Butter may drip from the cracks in the form pan, so it’s best to have a cookie sheet under neath to catch anything. So, with your pan on the sheet, bake the cake for about 55-65 minutes. Remove from the oven, and let it cool on the counter for 1 hour. Then, place it in the refrigerator overnight to get nice and cold. The next day, that beauty is just about ready. To finish this bad boy up, get some whipped cream. 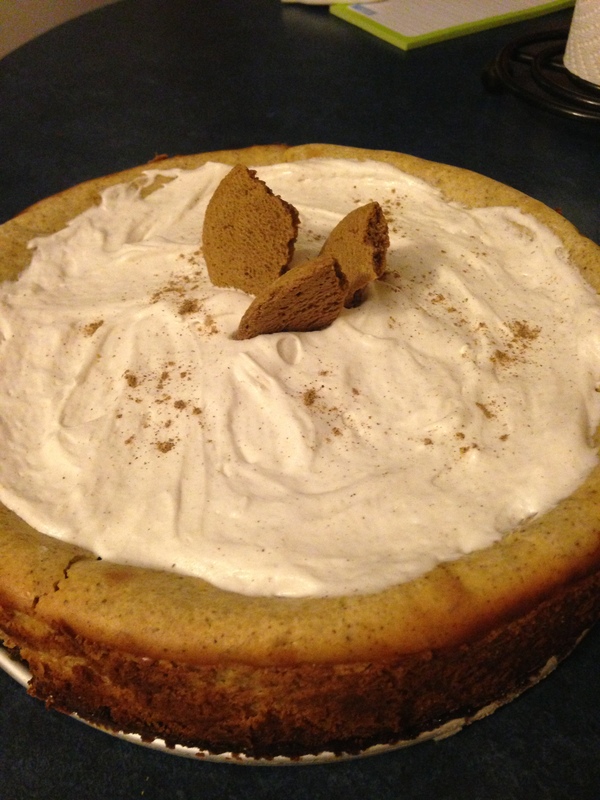 Either use store bought cool whip topping, or make some at home with heavy cream & confectioner’s sugar. It’s up to you. I cheated a little bit and used cool whip. 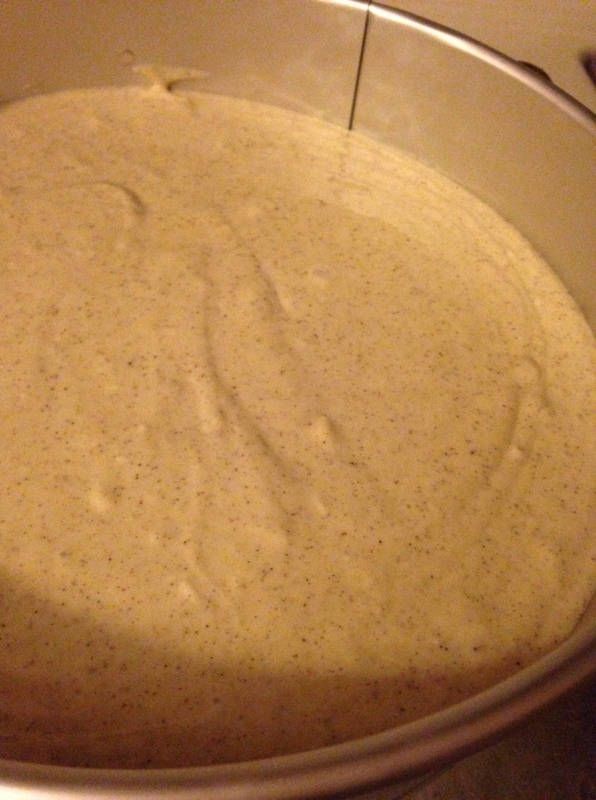 Add about a teaspoon of the left over chai spice to the whip cream, then spread a good layer on top of the cake. 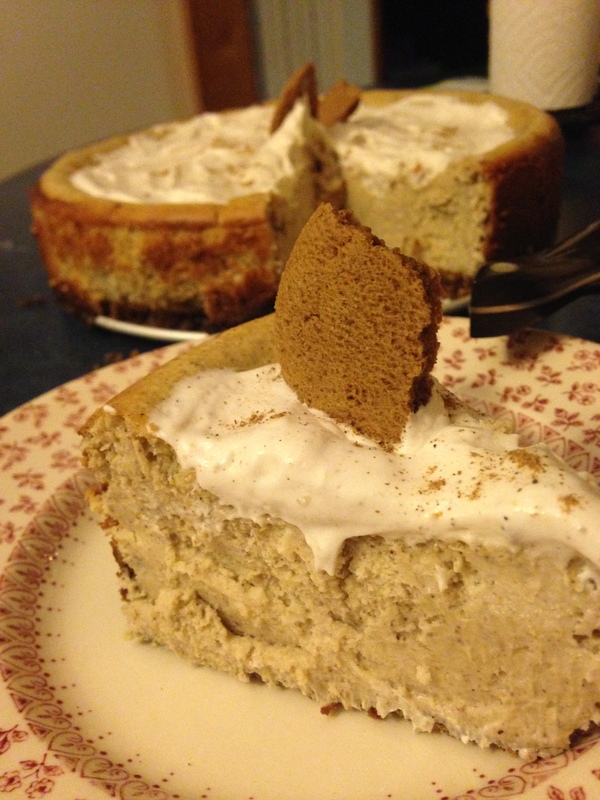 Garish with a few ginger snap bits, and you’ve got yourself one fine looking cheesecake. Seriously, this cake is so delicious. It’s creamy & sweet, with a spicy bite from the chai spice. It’s heavenly. You might even say this cake will take you to a whole new world.